Looking for deeper insight on markets? 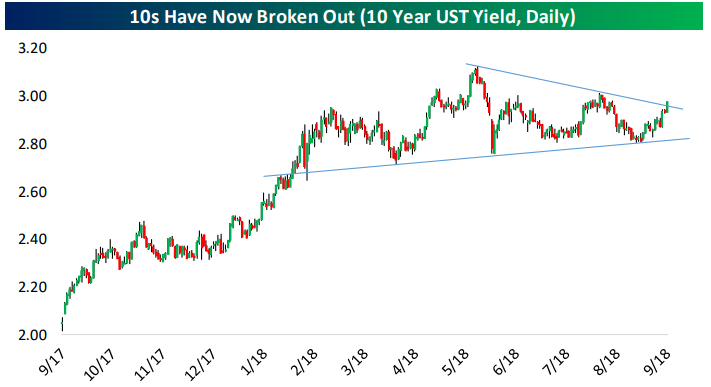 In tonight’s Closer sent to Bespoke Institutional clients, discuss the breakout in 10 year yields and the relationship between 10s and the shape of the yield curve. We also discuss in detail today’s very strong JOLTS report, price action and valuations in EM, and the outlook for inventories to add to GDP over coming quarters.